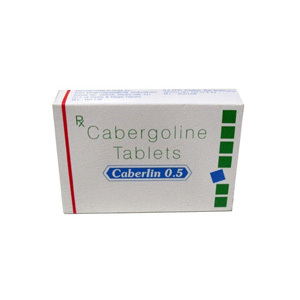 As already mentioned in the description, Caberlin 0.5 is used on steroid courses that trenbolones or nadrolones contain. To begin his method is justified when the activity of nadrolone or trenbolone comes to its peak form. From the second week of the course, you can safely begin taking the drug and finish only two, three weeks after the course itself, this is due to the fact that long esters of drugs, even after the end of their administration, still create a decent background in the body and continue to work. The experience of using the drug by athletes who have been tested to follow the action of the cabaser shows that a dosage of 0.25 mg with an interval of time, every 4 days, gives an excellent result. Many athletes recommend experimenting with taking cabergoline and parallel with alternating anastrozole. In this article, of course, it will not be possible in full to reveal all the subtleties and nuances of the dosytex treatment. But for this we invite you to our forum, where you can ask questions you are interested in and get a detailed answer from competent specialists. In any case, the best results from the use of the drug can be achieved only if you do tests and already only focus on them. The side effects of the Caberlin 0.5 are not really serious enough to make this conversation too wide. Scientists conducted experiments using dostex, this was due to the fact that the dosage of the cabaser was intended to be overestimated to 0-5 mg per day. Acceptance of cabergoline was every day, and on the basis of these experiments we give a list of the phenomena that appeared during the study. But as you can see, too large dosages were used during the experiment.